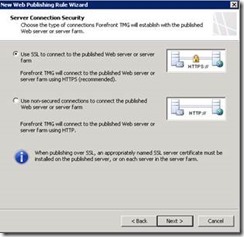 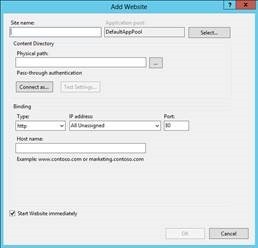 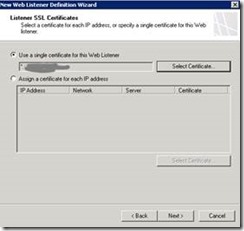 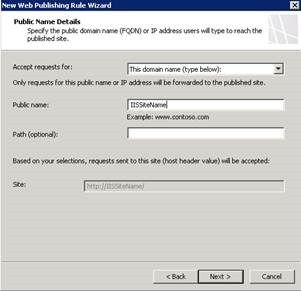 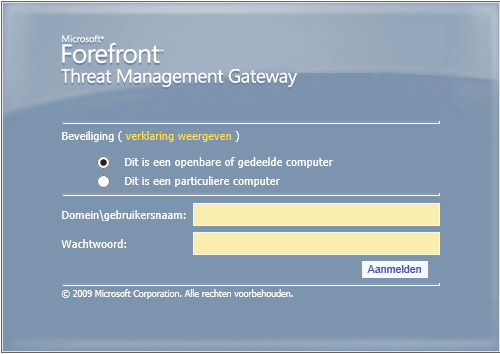 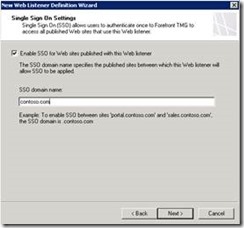 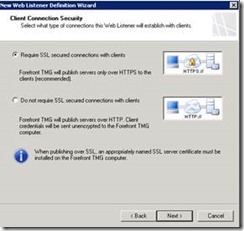 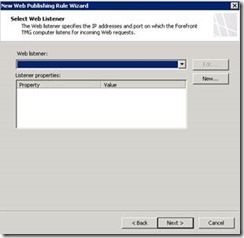 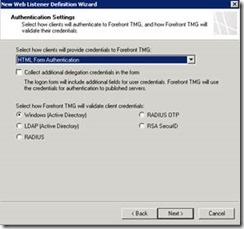 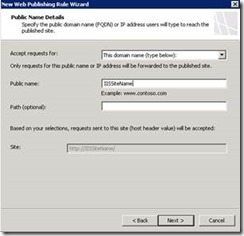 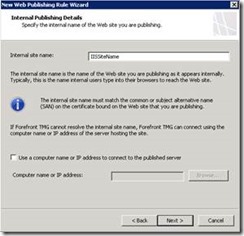 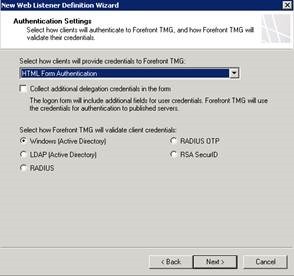 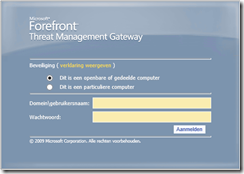 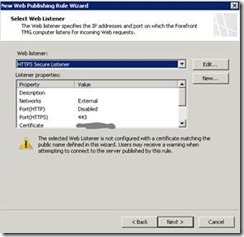 We wanted to enable Forms Based Authentication with AD for a SharePoint site and a standard IIS site with Forefront Threat Management Gateway. 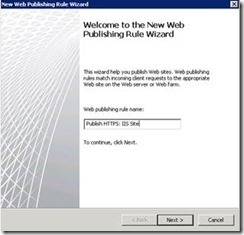 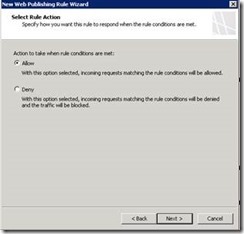 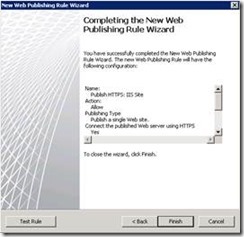 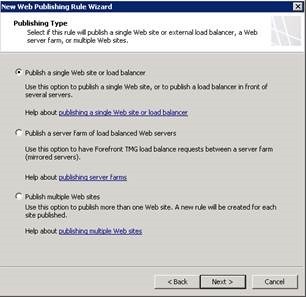 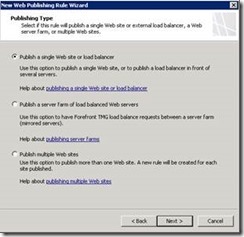 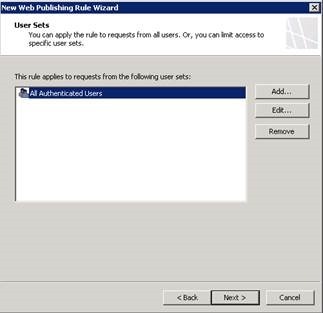 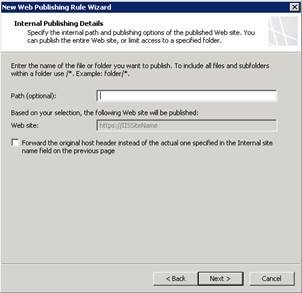 We had the issue that we already created the rule with no authentication and we did not receive a login screen for the default IIS site. 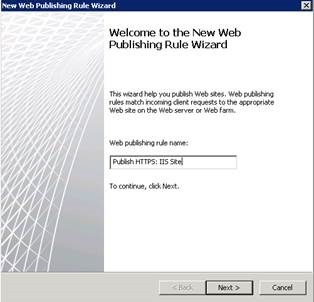 We did not get the loginscreen from TMG until we changed the firewall rule. 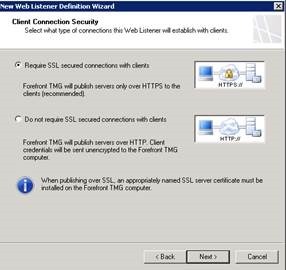 The set-up pretty straightforward and only requires a small adjustment for a standard Firewall rule. 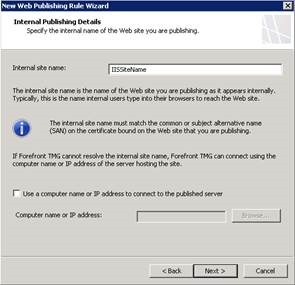 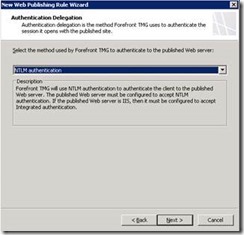 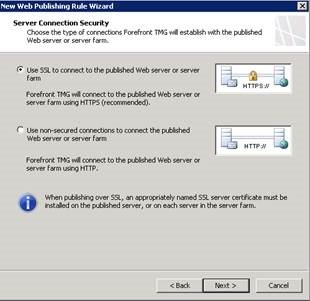 I will show you step by step how I have set-up TMG pre-authentication for a basic site and this also applies for SharePoint. 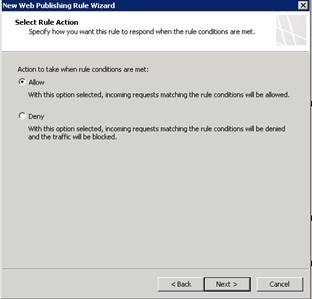 I then went to our TMG server and created a rule. 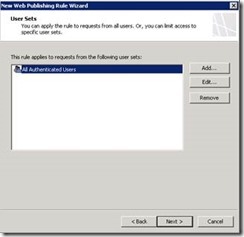 Make sure ‘All Authenticated Users’ has been added to the site. 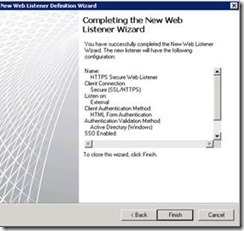 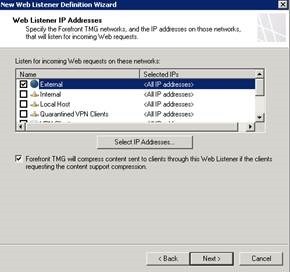 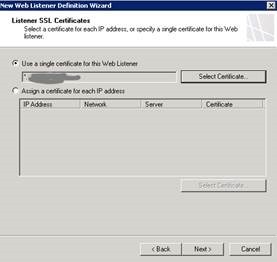 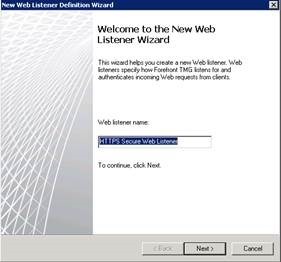 Note that you will see ‘All Users’ if you have not followed the steps above and used No Authentication for the web listener. 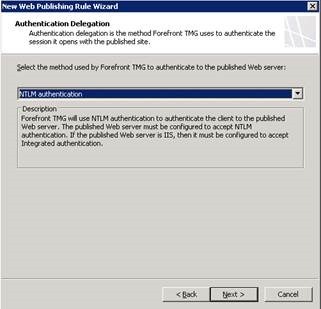 You will have to change this setting to All authenticated users to be able to receive the login screen from TMG.